The road to Russia 2018 continues today at the Godswill Akpabio International Stadium where the Super Eagles will host the Desert Foxes of Algeria. 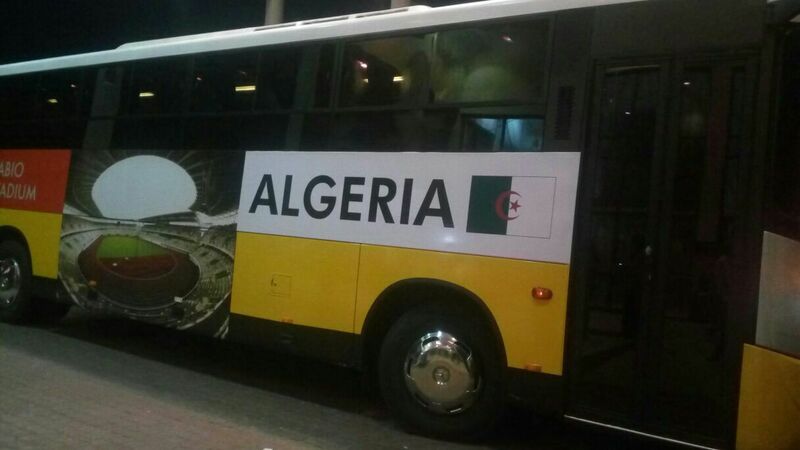 WORLD CUP QUALIFIER: Algeria arrived Uyo with their own food, water, bed Sheets, and even pillows. Lol. The Desert Foxes arrived the country with their arsenal not excluding water, drinks, food, blankets, and pillows. Yes, pillows. It believed that they are expecting their mattresses to arrive else they would make do with the floor with their blanket. Wait, they need their own floor too. Gosh. As foxes, they have decided to play only on their own pitch which is yet to arrive else they would float in Uyo. To serious matters, Nigeria are top of the group with 3 points after a 2-1 win in Zambia. Algeria and Cameroon played out a 1-1 draw in Algiers and are 2 points behind the Eagles. Zambia are bottom with no point and have travelled to Cameroon to turn their campaign around. It is a do-or-die affair for Algerians because a loss would make qualification almost impossible. Odion Ighalo is back with the team – he missed the trip to Zambia for family reasons. Will he get his starting shirt back from Brown Ideye? Ideye and Iheanacho had a good game against Zambia. After several omissions, John Ogu was invited to the Super Eagles. Will he displace Ogenyi Onazi? Rohr will be worried about who mans his post. Carl Ikeme couldn’t make the trip and Daniel Akpeyi have been invited as his replacement. It is believed that Akpeyi is favoured by Rohr to start because he is active in South Africa unlike Ikechukwu Ezenwa who have not played competitively since the end of the 2016 NPFL 6 weeks ago. That analogy looks flawed especially with respect to Mikel Obi who is forgotten at Chelsea but has a sure bet to lead the Eagles today. His excuse was that Mikel is being punished for playing in the Olympics. Different strokes for different folks. Nigeria are unbeaten against Algeria in their last 7 meetings with 6 wins and a draw since 1990. Nigeria won their last 5 matches against the Desert Foxes and have not lost a World Cup qualifier to them since 1981. It is also Nigeria’s 100th World Cup qualifier and they would hope to see of the Foxes to mark the milestone. Goals from Iheanacho and Iwobi will be fine. Previous Previous post: The Best – Have you had your vote?